One of my first high profile personal injury cases was a dog bite case. A Toronto woman, walking her American Eskimo therapy dog was attacked by three off leash pit bulls in the park of an apartment complex. The American Eskimo named Simba was bitten relentlessly by its attackers and then torn to pieces. Its pure white as snow coat was stained red in its own blood. The owner of the dog witnessed the three pitbulls tearing her poor Simba to pieces. She tried to stop the attack and shelter Simba from the two attacking dogs. Smelling blood, the pitbulls continued their attack on the woman, tearing into her arms, legs, back, neck and abdomen. Simba died and the owner was injured both mentally and physically. The case garnered media attention in the Toronto Star and Globe and Mail. Here’s a link to the excerpt from the Globe and Mail article. Victims of dog attacks want to know how these sort of cases work. They often ask whether or not we can arrange to have the offending dog borded, muzzled or put down. They also want to know what if any role Animal Control or the Police have in such cases. These are all very good questions. First, I want to get out of the way that no personal injury lawyer has the legal power to put down, muzzle or arrange to have the offending dog borded. It would certainly be nice to have that power, but there’s only so much power a civil lawyer has. These powers are reserved for Judges, along with Animal Control and the Police. These powers are only used in extreme circumstances with animals or owners who have multiple offenses. So: You’ve been bitten by a dog. Ouch! Sorry. What do you do next? First, get the medical attention you need. You will likely need to get a vaccination or a rabies shot following the dog bite. Call the ambulance, go to the emergency department at the hospital, your family doctor or your local walk in clinic. The most important thing is your health. Worry about the offending dog and its owner later. Call the Police or Animal Control to report the dog attack. The Police and Animal Control handle these sort of things. Their role is to investigate the dog attack, just like they would in a car accident case. The Police will do their best to get the name and contact information of the owner, along wtih the name, age and breed of the offending dog. The police may charge the offending owner with an offence under the Dog Owners Liability Act. This is the statue which governs the liability of dog owners in Ontario. Basically, if a dog bites you, the law points in part to the Dog Owners Liability Act. Under the Act, a dog bite is an absolute liability offense. 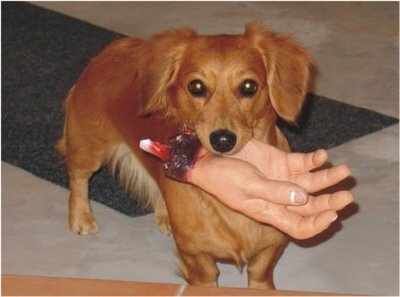 This means that if your dog bit somebody, the owner is automatically responsible for the dog’s actions. Often dog attacks involve dogs fighting, and one dog badly injuring another dog. In such cases, clients want to know whether or not they can claim damages for the pain and suffering to the injured dog. The answer is that damages for pain and suffering to the injured dog are NOT available at law. Dogs don’t have rights. They’re seen as property under the law, and property is not entitled to damages for pain and suffering. But, if your dog was badly injured, you can sue the owner of the dog for the veterinary bills associated with the attack to your dog. If you had to pay a vet $1,000 to get your dog vaccinated and mended following the attack, this can certainly be claimed. If you witnessed the attack to your dog, you can claim damages for mental distress, nervous shock or other psychological injury associated with the dog attack. Many people experience nightmares, fear of other dogs and depression after witnessing a traumatic dog attack. These sort of damages can be claimed at law. It’s helpful to your case if these issues are documented in your family doctor’s, psychiatrist or psychologist’s notes and records. Simply saying that you’re suffering from these symptoms is not enough. We need to see it in the medical records. Many people want to know who pays the damages in dog bite cases. Do they come directly out of the dog owner’s pocket? Does insurance cover these sort of cases? The answer all depends on the circumstances. Us injury lawyers don’t like suing judgment proof entities. This means that we won’t be able to recover any compensation on behalf of our injured clients. Most homeowner’s insurance covers liability and claims for compensation in dog bite cases. Meaning, if the owner of the offending dog had this sort of insurance, then his insurance company will likely pay for the claim. If the owner of the dog didn’t have any homeowner’s insurance, rental insurance, and is without any real assets, then there’s a good chance the defendant will be judgment proof. This means that recovering compensation in your dog bite case will be very difficult. It all really depends on the facts of the case, the parties involved, and where the dog attack happend. Sometimes, suing the property owner is a good strategy because there’s a good chance they have some form of insurance. But proving liability against the property owner for the dog attack can be tricky. Your lawyer will be able to point you in the right direction. It’s important for accident victims to understand that damages for pain and suffering are different than the Court ordering a muzzle be put on the dog; or the Court ordered that the dog be put down. Damages for pain and suffering are a civil remedy which your personal injury lawyer can get. Arranging for the dog to be muzzled or put down are a quasi criminal rememdy which only a Court can order in a Regulatory/Quasi Criminal Proceeding. Your personal injury case for damages is separate and apart from the Regulatory/Quasi Criminal proceeding against the dog owner. We hope this article helped you better understand the law surrounding dog bites and dog attacks. If you have further questions, feel free to call our law firm, or email us at info@goldfingerlaw.com. We would be pleased to answer any questions you may have.